To find out more information or to register for an event please click on an event title below. Set in the rolling countryside, Webb Hill Country Club is a little gem of a course where you’re always sure of a warm Texas Welcome. 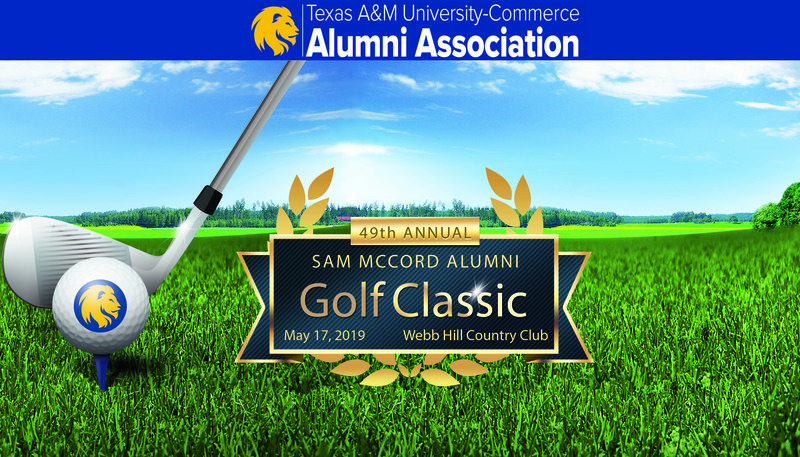 Our annual golf tournament has been renamed for the great Sam McCord who we lost in 2018. In his role as director of Alumni Relations, Sam worked diligently to assure that the annual golf scramble was a fun-filled reunion for lion alumni & friends, whether near scratch golfers, weekend duffers, or somewhere in between, a tradition that continues to this day. Having himself come from humble beginnings, Sam realized the importance of making available financial assistance to students in their quest to attain a college degree. To that end, he was an avid supporter of the annual golf tournament, an event that has raised tens of thousands of dollars for scholarship funds, a legacy that will live into perpetuity. Proceeds, after expenses, will be deposited into the Alumni Association Legacy Scholarship Endowment. Former students, faculty, staff and friends are eligible.